New York City is the hub of entertainment, business, nightlife, fashion, and so much more for North American’s, and even across the globe in many cases. It is a beautiful city now, but to think about what it was like forty or fifty years ago. Not only would it have been a completely and utterly different place than it is now, but it still would have been stunningly beautiful, just in a different way. 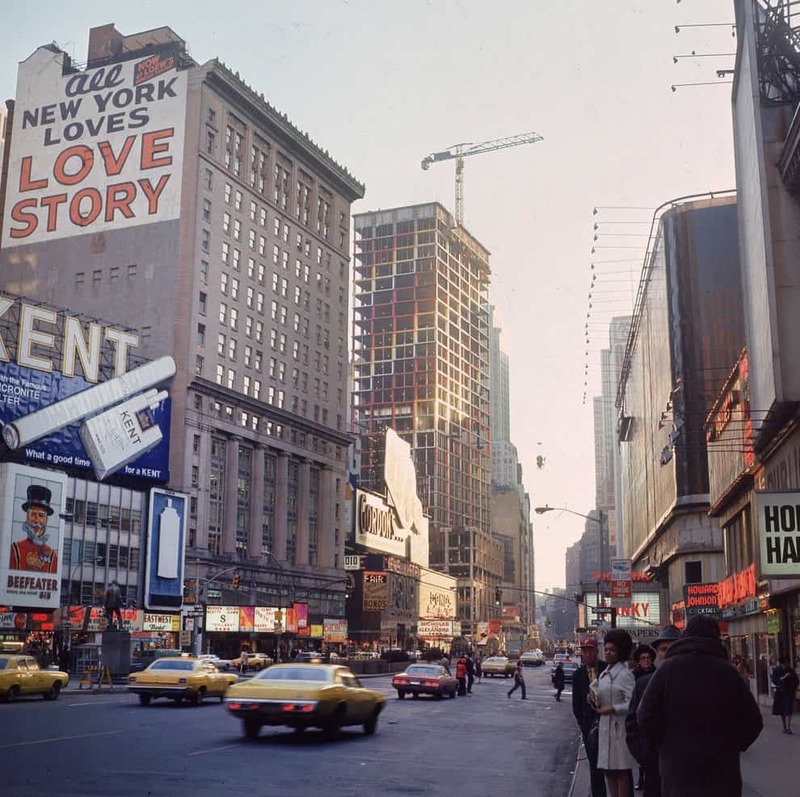 This list is a compilation of pictures taken of New York City during the 1970’s, and it showcases how different life was back then, and how beautiful it was as well. What’s interesting about this photo, taken in 1975, is how much of a rarity “adult movies” and “peep shows” were. Nowadays, they aren’t uncommon at all in New York. The construction of this tower, built in 1972, was something that was just beginning to become common. This man laid on the street, injured, while waiting for emergency services to arrive. What’s impressive about this picture is all of the people gathered around him. Today in New York, it’s easy to imagine that most people would just keep walking. 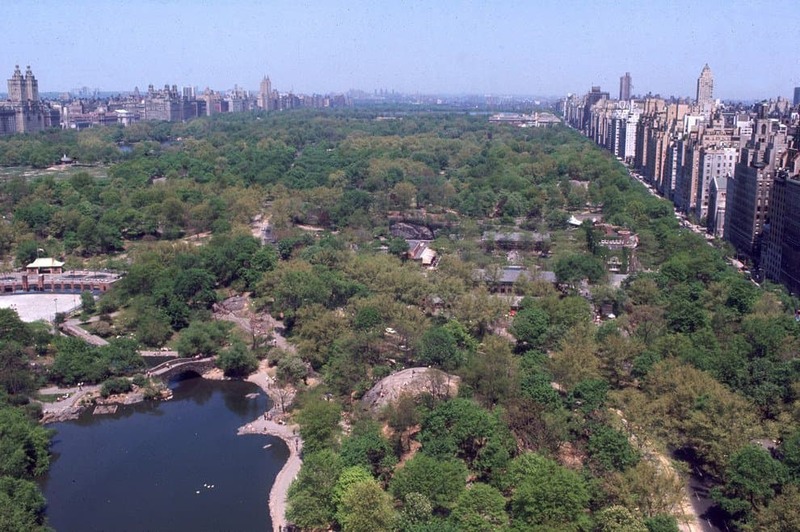 This photo shows how beautiful Central Park was in 1975. It’s still beautiful today, but it’s nice to see the comparison! 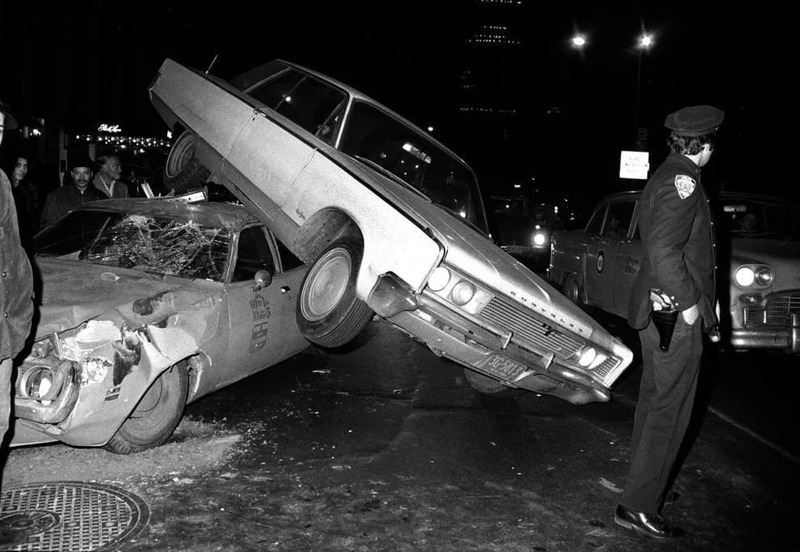 This car accident took place on Manhattan’s Central Park South during rush hour in 1972. However, it doesn’t seem to be slowing down traffic too much as this police officer waves cars around the wreckage. 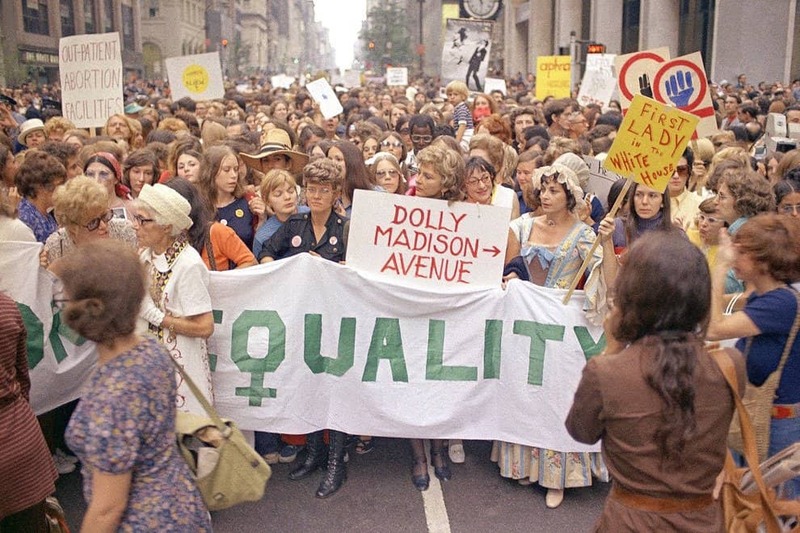 In the 1970’s, women’s liberation and feminism were topics that were just beginning to be accepted. This women’s liberation rally took place on Fifth Avenue. 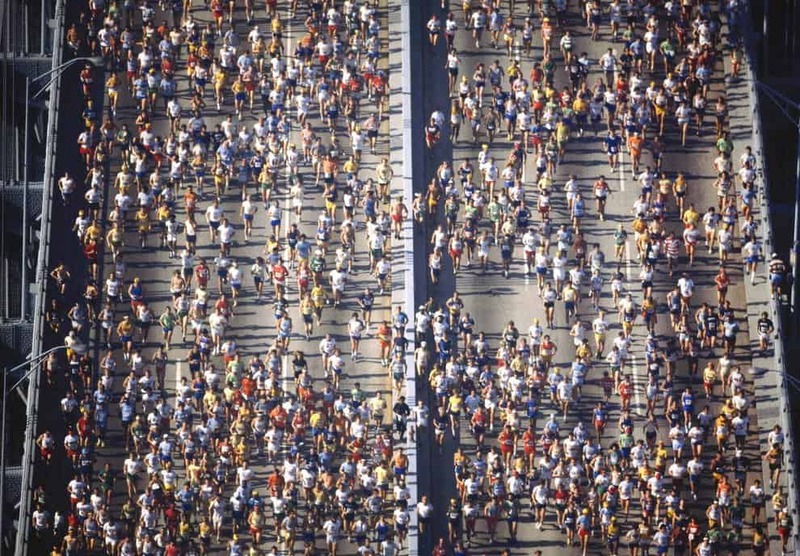 This picture of the New York Marathon in 1978 is taken from the point of view of the Verrazano-Narrows bridge. 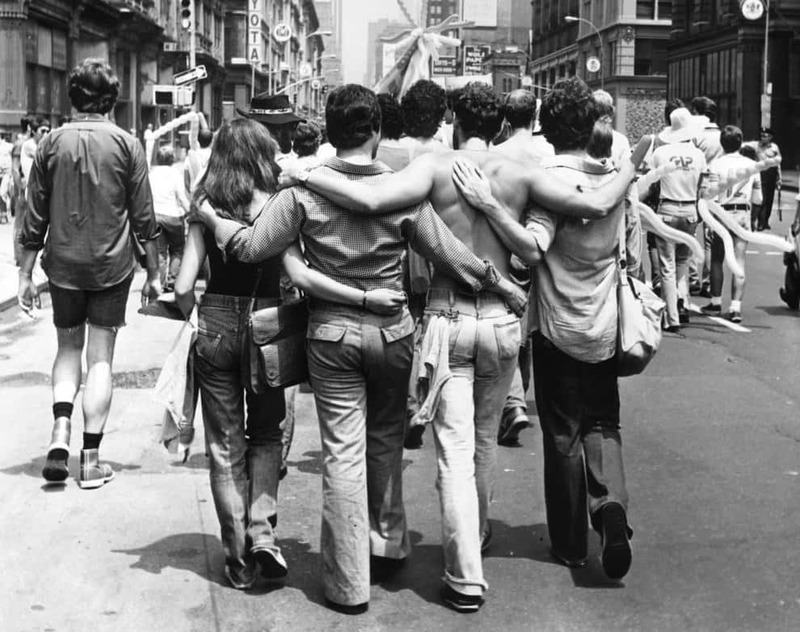 In 1975, this Gay Pride Parade took place on 4th Street. Again, this was a topic that was still taboo for many Americans, and New York seemed to take the lead, like it always does. 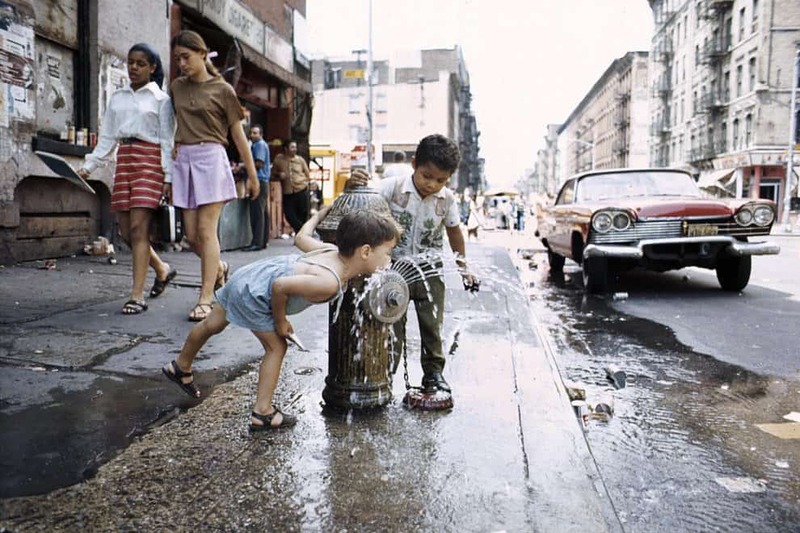 This picture was taken in 1970, and shows children drinking from a fire hydrant on Avenue C in the Lower East Side. 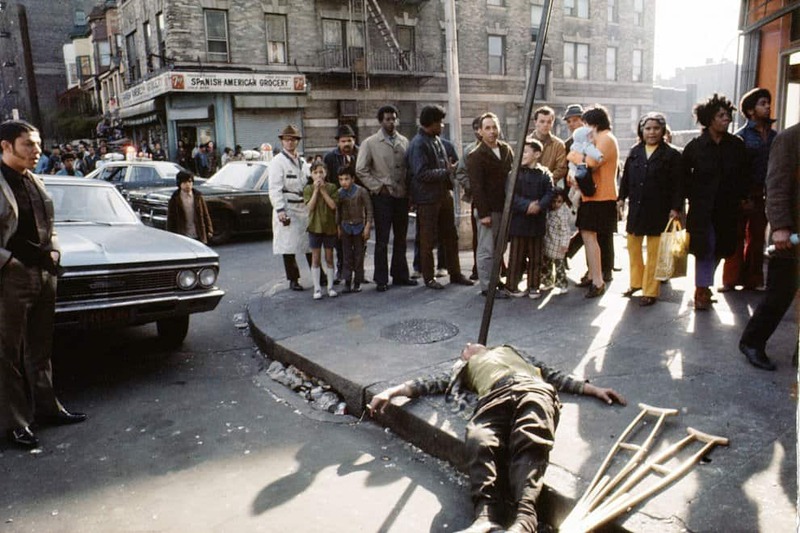 Today, parents in New York would never consider letting their children play in the street, let alone drink from a fire hydrant. 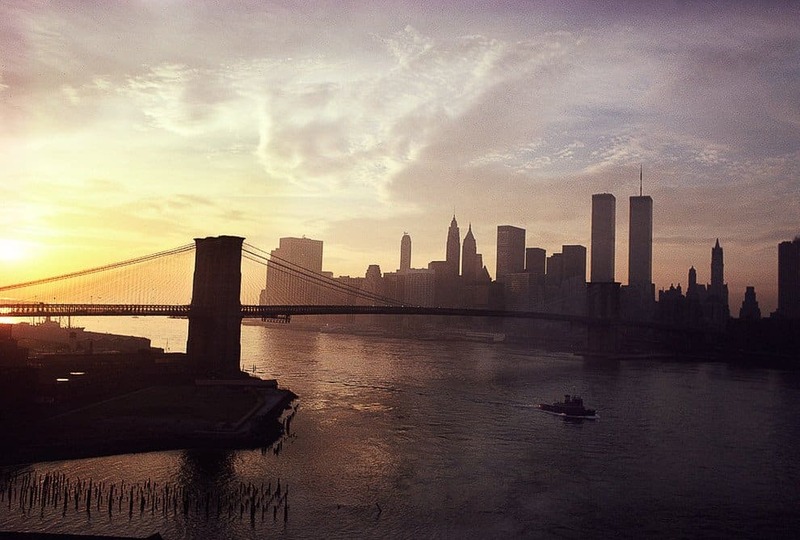 This stunning photo of Manhattan Bridge at sunset in 1979 is a reminder that New York City is beautiful now, as it was during the 1970’s.